Schnyder von Wartensee was an early romantic, and a good friend of Beethoven. His music is typical early romantic - perhaps more like Haydn and Schubert than like Beethoven. 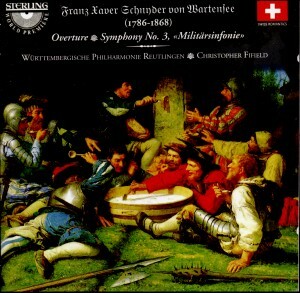 Some rather weird twists in the symphony makes one believe that there was perhaps stronger stuff than milk in that "suppe". Lovely, engaging performance typical of Fifield and the Württembergische Philharmonie.